Yoga was always a part of my life from a young age thanks to my mom who practiced. She would walk me through savasana as a child at bedtime to help relax me or taught me to breathe when upset. It wasn’t until college, however, that I found my way into a yoga class and discovered my own practice. It was during an age when I was seeking a mind and body connection that could ground me and help me explore meditation and eastern philosophies. From the beginning, it just made sense, 10+ years later it still does. About 6 months ago I took a step back from the 9-5 lifestyle to start focusing on different passions that brought happiness into my life. That being said, I do several different things to earn an income. 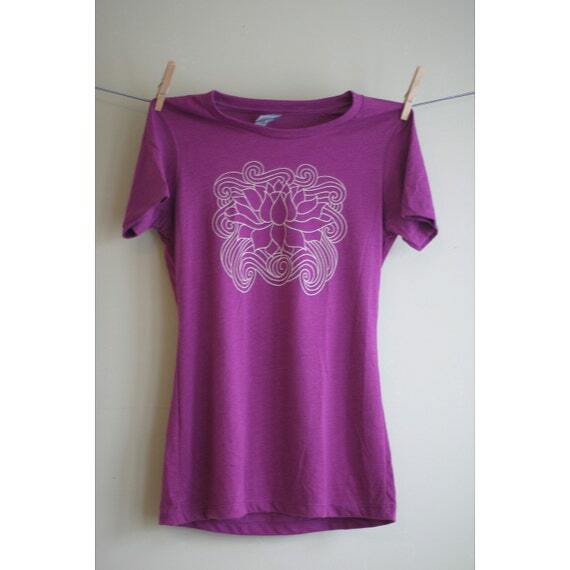 I sell custom hand painted yoga mats for students around the world, I am a local yoga teacher, I write for blogs about yoga, health and wellness, I freelance as a digital marketing strategist (which is what I was doing before I left my full time job) and last but not least I design t-shirts (both yoga designs and am a co-owner of a local company Hills & Trails Co.). Here’s a few links to some of my work! Yes, and this is what I am incredibly grateful for. I try to incorporate yoga in my life wherever possible; whether it is checking in with my breath, practicing awareness, detaching from external forces or through teaching and expressing myself artistically. It was an important part of my lifestyle change and what makes the biggest difference in my life. I am a creative individual by nature and feel most grounded and connected with myself when expressing that. 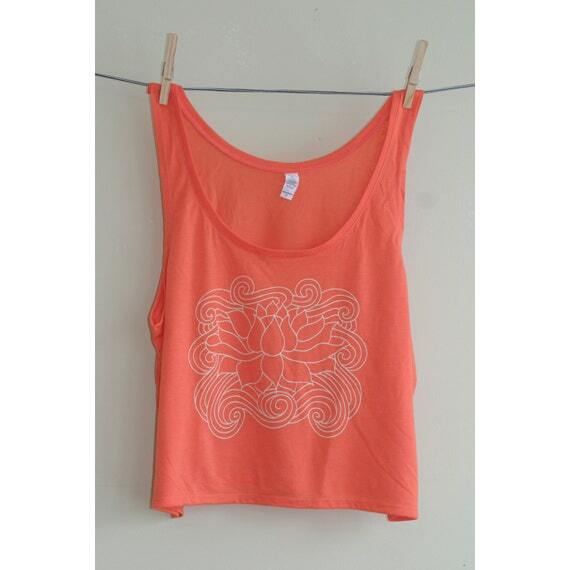 I am beyond excited to be working with Lila in an upcoming artistic collaboration for new yoga shirt designs! I hope you all will be as thrilled as we are! Lila was the first studio I practiced in since leaving California that I felt I truly I connected with. The atmosphere is warm and welcoming and I was finally able to root back into my practice and push it further. The teacher’s all have a great presence and sequences that allows us to explore different poses and the students I practice next to have a smile on their face and are excited to get on their mats. Sometimes we laugh out loud when we’re holding poses or sometimes we grunt but we’re always loving it. I never feel a sense of competition, we breathe together and move together. I feel so deeply about my own practice and to practice it in a great space with the Lila community is an honor! 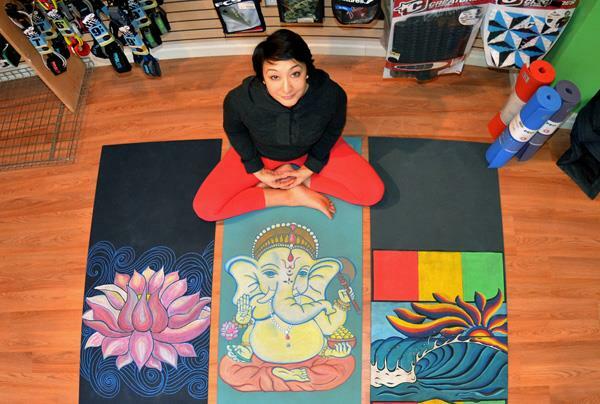 If you’d like to follow my yoga art please find me on instagram: instagram.com/cp_yoga_designs or if you have questions you can email me at handpaintedyogamats@gmail.com!